Join us for a presentation by Christie Nelson, author of Beautiful Illusion, Treasure Island, 1939, and Patricia Araujo, luminous painter, of the forgotten treasures of the Magic City. Christie and Patricia will share their passion and curiosity about San Francisco’s last and nearly forgotten world’s fair, the Golden Gate International Exposition. Patricia has studied architecture, painting, and photography, and over the last decade has focused her painting on urban architecture in San Francisco. 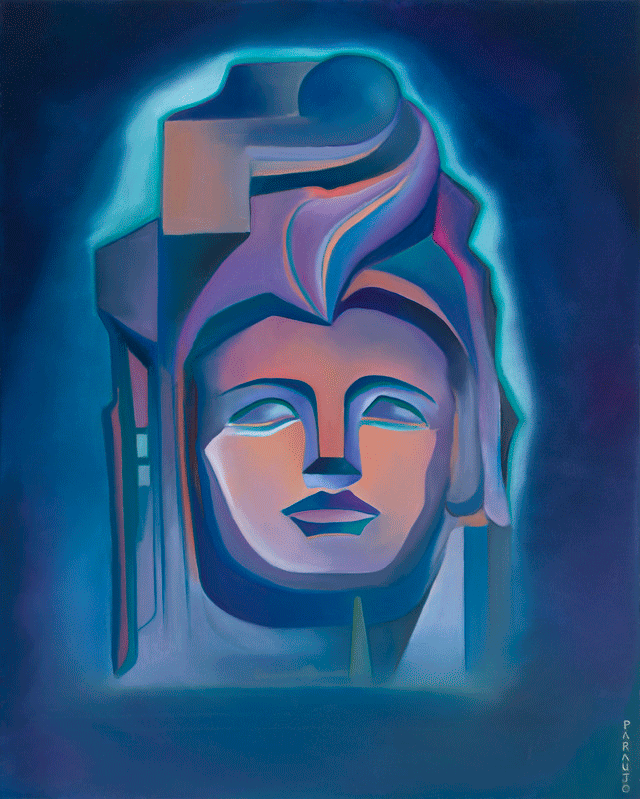 Her fascination with the Golden Gate International Exposition has inspired her to paint the face of the fair’s goddess, Pacifica, using different perspectives and color schemes. Her “Tribute to Pacifica,” has been made into posters and notecards, by the Treasure Island Museum. Christie Nelson grew up in San Francisco and has written two earlier novels, “Dreaming Mill Valley” and “Woodacre”. Now she has published a novel set at the 1939 Golden Gate International exposition. Mixing fact and fiction with a dash of noir, Beautiful Illusion is a story of love and deception that explores what happens when human hearts collide as the world is plotting war.